Customers browse the retailer's online stores. 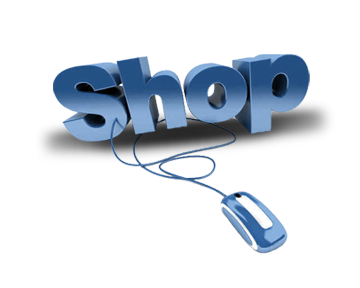 Each online store is a separate Web site having its own address, which is localized to suit the needs of the country market served. After adding items to their cart, customers can then create and place orders for products that are fully customized as to desired size, composition and weight. A single GM-X application server integrates seamlessly with all the online stores to deliver rich content in real time — photographs, illustrations and descriptions in each language — as well as to calculate prices, discounts and taxes in each currency. Real-time integration is crucial due to fluctuations in commodity prices and foreign exchange rates. Upon receipt of an order, GM-X collaborates with the customer via email, linking all inbound and outbound email messages to the order together with their attachments. Messages include inbound enquiries received from customers, outbound responses, and outgoing correspondence such as order acknowledgments, status changes, shipping notices and invoices (as PDF attachments) in the customer's preferred language. Email messages and their attachments are viewed directly within the GM-X application, which also provides a portal allowing customers to securely track the progress of their orders instead of calling the retailer — significantly improving call center performance and productivity. The retailer ordinarily does not ship from stock; instead it relies upon a staff-on-demand model comprising a network of suppliers who make products to order. GM-X handles all collaboration — purchase order creation, delivery of raw and packaging material on consignment, drop shipment to the customer, and cost tracking — between the retailer and its supplier network via email and a supplier portal. GM-X also integrates with the retailer's ERP system which handles accounts receivable, accounts payable, general ledger and financial reporting.